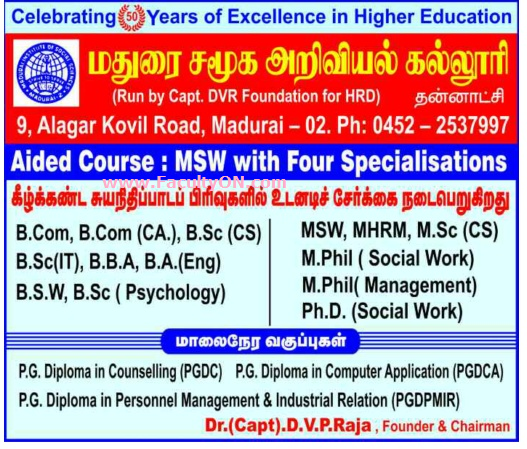 Madurai Institute of Social Sciences, Madurai has advertised in the DINAMALAR newspaper for recruitment of Assistant Professor jobs vacancies. Interested and eligible job aspirants are requested to apply on or before 30th June 2018. Check out further more details below. About College: Madurai Institute of Social Sciences, is a multi faculty research center located in Madurai, Tamil Nadu. The college is affiliated with Madurai Kamaraj University. This college offers different courses in social sciences.